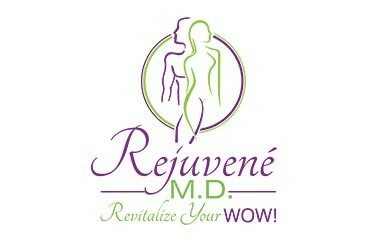 Cosmetic Dermatology & Rejuvené M.D. Rejuvené MD is the medical atelier side of the grander dermatology practice, that offers a vast variety of aesthetic services and wellness treatments. Dr. Karen has been interacting with some of the greatest influencers in the aesthetic world. She is committed to finding the best technologies available to treat the multicultural ethnicities in our Sun City. At Rejuvené MD, her and her staff’s goal is to make sure all clients are well-educated and comfortable with the procedures they have chosen, based on the skin conditions, skin type and desired results. During your consultation at Rejuvené MD, procedures are described in depth, questions are encouraged, instructions are given and prices are pre-quoted prior to proceeding with the treatments. Spending this quality time with our clients during their consultation is a top priority. At Dermatology & Aesthetic Center of El Paso we offer a variety of aesthetic services to prevent and reduce the signs of aging. It is our goal to make sure that all clients are well-educated and comfortable with the procedures they have chosen. The type of procedure depends on one’s skin type and desired results. During your consultation, procedures are described in depth and questions are encouraged. Instructions are given at the time of consultation along with the prices for the procedures. Spending this quality time with our clients during their consultation is a top priority.